Thank you all for participating in this year's Nike Select Cup. Check back in May for information regarding our 2019 Nike Select Cup. Welcome to the fifth year of Concorde Fire’s Nike Select Cup! Concorde Fire Soccer Club of Metro Atlanta is pleased to invite your team to the beautiful city of Atlanta for this preseason tournament. Kick start your season with this late summer tournament that will draw teams from around the country. Concorde Fire Soccer Club is one of the nation’s premier soccer clubs. Please join us in Atlanta, Georgia on August 10-12th, 2018. For the U12 teams we will be playing 9v9. 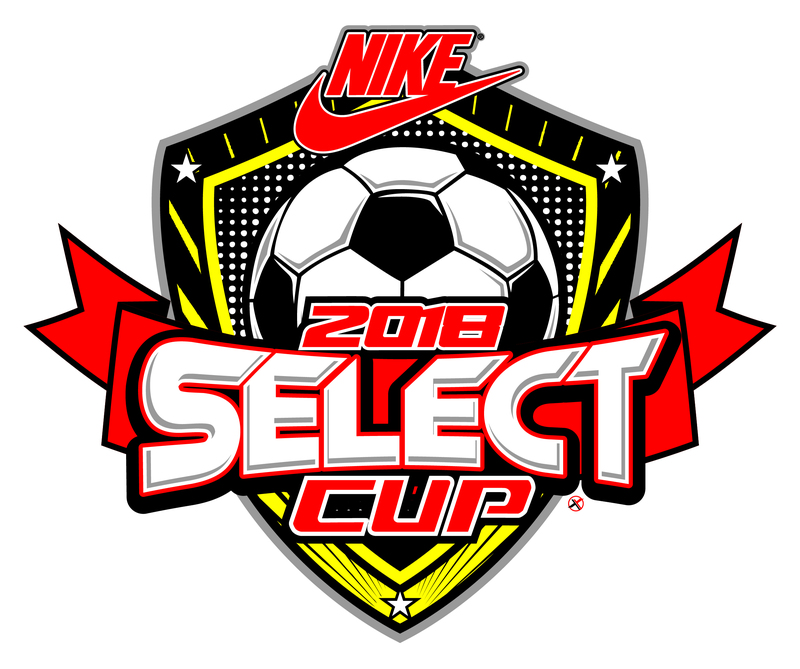 For the U13 and U14 teams we will 11v11 in our Nike Select Cup, we will be playing a traditional tournament format where teams are placed into groups for round robin play to determine finalist for the championship. For our U15 and older teams playing in the Showcase portion of our Nike Select Cup, teams will play 3 scheduled games with no advancement to a final. The Showcase will post standings but there will not be advancement nor trophies/plaques for teams "winning" the event. Showcase Teams will have the option of selecting to play a 3-day format (Friday, Saturday, and Sunday) or a 2-day format (2 games on Saturday and 1 game on Sunday) when registering.